After all these years, my family and I made our first trip to see the wild horses of the western United States. My work has been dramatically influenced and inspired by the study of these horses and their hooves. The reason I waited so long to go there and see for myself, was I thought that by studying the works of others I had picked up most of the information I needed. I was first, and most influenced by the work of Jaime Jackson. 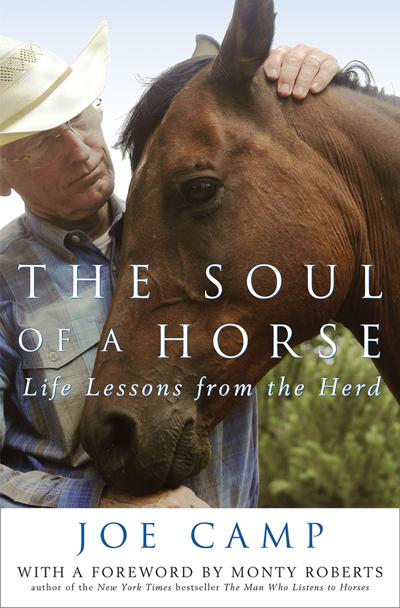 He paved the way for an overwhelming number of us to learn how to forge healthy bare hooves and dramatically improve the health and performance of domestic horses. With this came the ability to unlock the mysteries of founder, navicular syndrome, white line disease, and hoof wall cracks. I later studied the wild horse research of Gene Ovnicek and Dr. Robert Bowker. I picked up more information from their work, and valuable confirmation of what I had already learned from Jaime. So, I walked into wild horse country thinking that I was on a tourist trip; confirming what I already knew. I could not have been more blind. I could not have been more wrong. They were much, much more than I had ever imagined. I thought I was ready, but what I saw literally blew me away. I have worked on thousands of horses, all over the world. I spent six years of my life in the saddle from daylight till dark. Ive had the privilege of working on some of the finest horses, for the finest horsemen in the world. Understand that after two minutes with the wild ones, I knew that I had never seen a true horse. I literally had no idea of their potential. The country was solid rock; mostly baseball-sized porous, volcanic rock that you could literally use as a rasp to work a hoof if you wanted to. Every foot or so, a basketball sized rock was thrown in for good measure. Horse tracks were fairly rare, because there was so little dirt between these rocks. There were a few muddy areas from the recent snow melt, but they were littered with rocks as well. The horses made no attempt to find these softer spots to walk on. They had been walking mostly on snow all winter, so if ever the hooves are soft, tender and poorly shaped, it would be this time of year. I think it was the most critical time to see the horses. Ivy and I observed, videoed, and photographed at least sixty horses. All of them, from the foals to the aged horses moved effortlessly and efficiently across this unbelievably harsh terrain. They were doing collected, extended trots across this obstacle course that would shame the best show ring work of any dressage horse, with their tail high in the air and their heads cocked over their shoulder looking at us!!! I have never known a horse I would attempt to ride in this terrain. We had to literally watch every step. On the third day we got a half inch of snow (as if we werent having a difficult time already). We could barely walk at all. It was exactly like trying to walk in a slimy, rocky stream bed. The movement of the horses was not affected by the slippery dusting of snow on the rocks. In fact, they got around much better than the mule deer and the pronghorns. The only animal I saw that rivaled the pristine fluidity of their movement was a lone coyote. The entire time we were there, we did not see a limp, or even a give to any rock, or a single lame horse and not one chip or split in any of their hooves. It was an unbelievable sight. The area we were in had been under heavy snow until a few weeks prior to our arrival. The horses were eating tiny green shoots of new grass emerging from the cracks in the rocks. They would find about one nibble, among the rocks, per two steps. Our calculations confirmed they were, in fact, moving at least twenty miles per day in this rugged landscape. Interestingly, there were a few areas under wooded sections that had decent stands of grass and soft, wet footing, but it was rare to see any sign that a horse had been in there. They preferred the open spaces and high, rocky ridges where they could see around them. 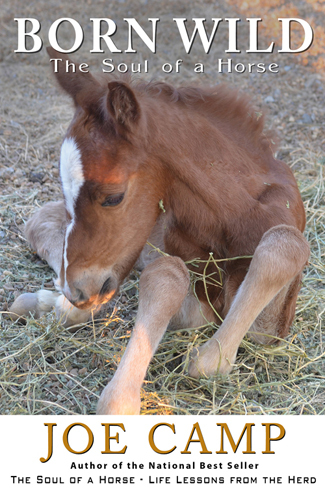 The mares were dropping foals while we were there and both the mares and the foals were extremely healthy. What in the world did they eat all winter? The grass would have been covered with snow, if it existed at all. I assure you I will find out next winter! These horses were all visions of health, but this soon after the snow melt, they should look their worse, I would think. I cant wait to see the same horses in the summertime. I will do that, too.
. After only six weeks of domestication in what I wouldve considered a natural boarding situation, the spell was broken. There were nice horses there, dont get me wrong, but they were only shadows of their former selves. The magic was gone. This proved to me beyond all doubt that these magical creatures are not a super breed or a separate, genetically selected species. It is the diet, the environment and the movement alone that makes them so special. Thanks so much to Pete and Ivy for taking the time to write about their experiences with Mustangs in the wild. As I digested the account, the stories Ive read about Dr. Joel Wallachs research for zoos and wild animal parks catapulted to the surface, because it was the very same story. A tiger would come in from the wild looking robust, healthy and strong but in a very few short weeks he would be just like the horses Pete and Ivy saw at the BLM facility. Listless, lifeless, without the glow, the energy, the magic. And gone was his healthy robust immune system. After thousands of before-and-after blood tests and some 17,000 autopsies Dr. Wallachs results were always the same. The animals came in loaded with minerals in their systems but after being cooped up and placed onto domestically grown feed it took only a short time for their bodies to have very few if any minerals left. In the wild, where man has never planted, pillaged, and plundered, the essential minerals still exist in the soils because the plants and animals all eventually return their minerals to the soil, one way or another. The bodies of all animals, including humans, are designed to have access to those minerals in order for the bodies to work as they are genetically designed to work. And when the minerals are taken away, things change for the worse. In the domestic world all crops and farm and ranch animals are removed from the land and sold for food. Soon the minerals that were there are used up. Gone. To be replaced by chemical fertilizers in most instances, not minerals. And even when minerals are added, almost never is it all 71 of the essential minerals. This is why the horses at the BLM facility were as Pete and Ivy saw them. In most zoos and wild animal parks the problem has been solved. Dr. Wallach and his associates have restored these exotic animals to good health with robust immune systems and removed over 900 diseases from their lives by placing the minerals that they once had in the wild into their feed. A few large farmers are now using these minerals on their crops and in the feed of their dairy and beef cattle, sheep, chickens, pigs, goats, etc. But, still, so few understand the concept and the logic involved. Especially in the horse world. And like so many things that weve discovered about horses, when all the noise is removed from the subject, the answers are really not rocket science. They are pretty simple. Let the horses live like horses are genetically designed to live, and eat like they are genetically designed to eat. Begin every relationship with trust offered freely by the will of the horse. And ensure that they are getting their 71 essential minerals, either through supplementation for the horses, or by introducing the minerals to the pastures and/or the hay fields. Do all this and you will have very healthy, happy, and willing partners who will never stop trying for you. And do watch this video. It’s not specifically about horses but the facts, the figures, the visuals, the examples, and the testimonials are impressive and easily transferable. It is excellent. And what a story it is as two novices without a clue stumble and bumble their way through the learning process so that hopefully you wont have to. If you havent read both of these books already please do because with that reading, I believe, will come not just the knowledge of discovery but the passion and the excitement to cause you to commit to your journey with horses, to do for the horse without waiver so that your relationship and experience will be with loving, happy and healthy horses who are willing partners and who never stop trying for you. Horses like ours. Please list the names for each inscription in the instructions to Seller field as you check out! Follow our latest journey with two amazing new arrivals from the wild. Kathleens terrific photos are worth the click. No-Agenda Time  So Much Value! Saffron and Firestorm  Progress and Photos  Lots of Both! Two Mustangs  Three Mind-Boggling Months! Get Online Brooding Essay Service from the Leadership All you want to do is get in hint with us and our experts will address all your queries regarding any tolerant of Musing Essay Topics. The futurity map of the advantages, military as good as societal, enjoyed by a popular state When you cite substantial in your essay, micturate certain it Your essay should be interesting but moreover loose to scan.